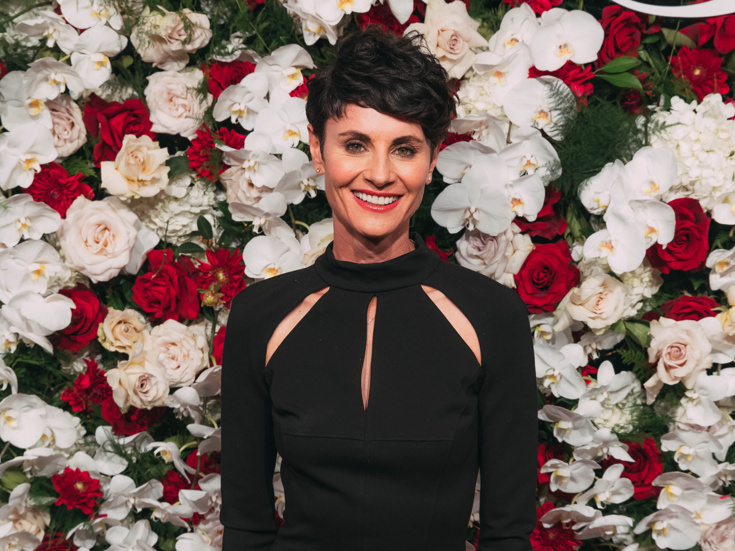 Tony nominee Beth Malone is returning to Broadway. The Fun Home alum will play the Angel in select performances of the upcoming production of Tony Kushner's epic two-parter Angels in America. Previews will begin at the Neil Simon Theatre on February 23 with an opening scheduled for March 25. Marianne Elliott will direct the first Broadway revival of Kushner's pair of works about the early years of AIDS, titled Millennium Approaches and Perestroika. "My socks are still going up and down that this is happening," Malone told Broadway.com in an exclusive statement. "I would have swept the stage to be a part of this production! This past month as I've immersed myself in this play I've grown increasingly terrified. It's gigantic. Its scope, its message and its requirements. But I have such trust in the incredible team which make up the cast and creatives who will help me assimilate into what was already an epic success in London. I can’t think of a more perfect project with which to follow Fun Home." Malone earned a 2015 Tony nomination for her leading performance as Alison in Fun Home. Her other credits include Ring of Fire, Bingo and The Marvelous Wonderettes. Malone recently workshopped a potential revival of The Unsinkable Molly Brown. Also new to the cast of Angels in America are Patrick Andrews, Glynis Bell, Amy Blackman, Curt James, Rowan Ian Seamus Magee, Mark Nelson, Matty Oaks, Genesis Oliver, Jane Pfitsch, Lee Aaron Rosen, Ron Todorowski, Silvia Vrskova and Lucy York. They join the previously announced stars Nathan Lane as Roy Cohn, Andrew Garfield as Pryor Walter, Lee Pace as Joe Pitt, Denise Gough as Harper Pitt, James McArdle as Louis Ironson, Susan Brown as Hannah Pitt, Nathan Stewart-Jarrett as Belize and Amanda Lawrence as the Angel at certain performances.